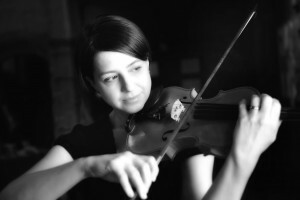 Victoria Lee joined the WSO in January 1995, and during her time with the orchestra has played in both first and second violins, including as Principal Second Violin and Deputy Leader of the orchestra. She started playing the violin through Dudley schools’ music service at the age of nine. In 1991 she graduated from King’s College, University of London, with a Bachelor of Music, having studied violin at the Guildhall School of Music during her degree course. Victoria moved back to the Midlands in 1991, settling in Worcester in 1993, and has continued to play violin on an amateur and semi-professional basis for local and regional orchestras and chamber music groups, including as first violin of the King’s Quartet which was formed around four years ago from the then WSO string section principals. Whilst also actively supporting the musical education of her three daughters, Victoria fits this busy musical life around her professional work as a Human Resources Manager for Worcestershire County Council.